I know that sheet mask reviews are not the most exciting reviews, honestly, but I simply couldn’t pass on review this INSbyN Brightening System Mask BX. I received it as a gift from CHARIS but all opinions 100% honest and unaffected by the fact that the product is being provided free of cost. I have been using mask sheets all the time. Actually more than the skincare benefits, I am loving the relaxing effect the mask sheets have on me. INSbyN is a multi-naturalism beauty brand from Korean, that combines inspiration gained from the mythical power of nature and technology created by researchers around the world. INSbyN Brightening System Mask BX is a Bio-cellulose sheet mask for your face. Turn dull and lackluster skin into a bright and glowing skin. Active ingredients are effectively delivered to dark and dull skin to make it bright and lively. 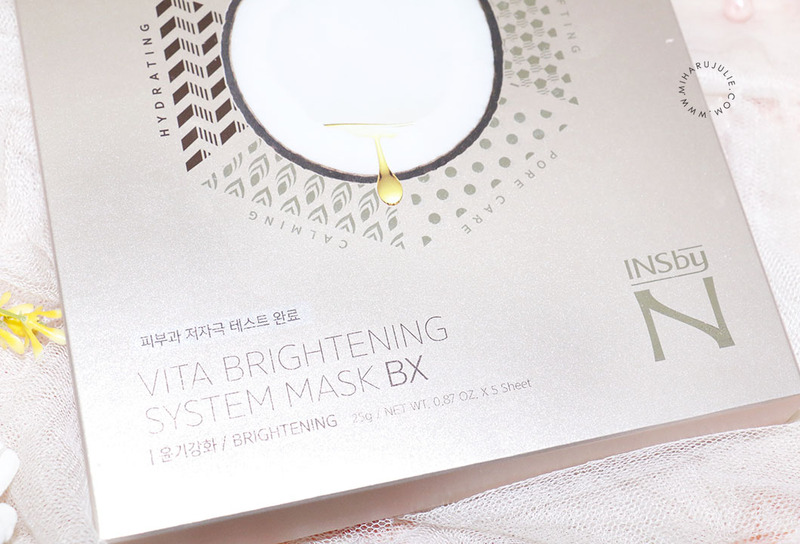 The main ingredient of this Vita Brightening System Mask BX is CCE (fermented coconut oil) and complex vitamins. Your skin is in need of a persisting effect that properly delivers and maintains moisture. If we have a closer look to the back side of the packaging, you can see, that the upper part is written in Korean, displaying also images of how to apply the sheet mask. 5. After 10-20 minutes, remove the mask and dab the face gently to let the essence absorb into skin. The packaging of sheet masks is look elegant and designed with gold color. The front of packaging, you can see a large coconut picture and the benefit. There are 5 sheets in a box. Like any other sheet mask you will have to unfold the soaked cotton sheet after you take it out of the sachet. You will find a double layer: the mask sheet and a plastic sheet. The Bio-Celtox Sheet is rather thin and soaked fully, but doesn’t drip. I found the mask has enough essence to keep it on your face for even longer than the recommended 20 minutes. It is moisturizing and hydrating and refreshing upon application. And like all sheet masks it must be really cooling when you put it into the fridge before you use it. My skin didn’t react negatively to the essence and I was really happy while using the mask. After removing the sheet mask I waited for the essence to absorb and the wanted to continue with my skincare routine. After 20 minutes of leaving the mask on my skin feels cool, refreshed, and wonderfully soft. I have a dry skin and this has helped my skin became soft and moisture. 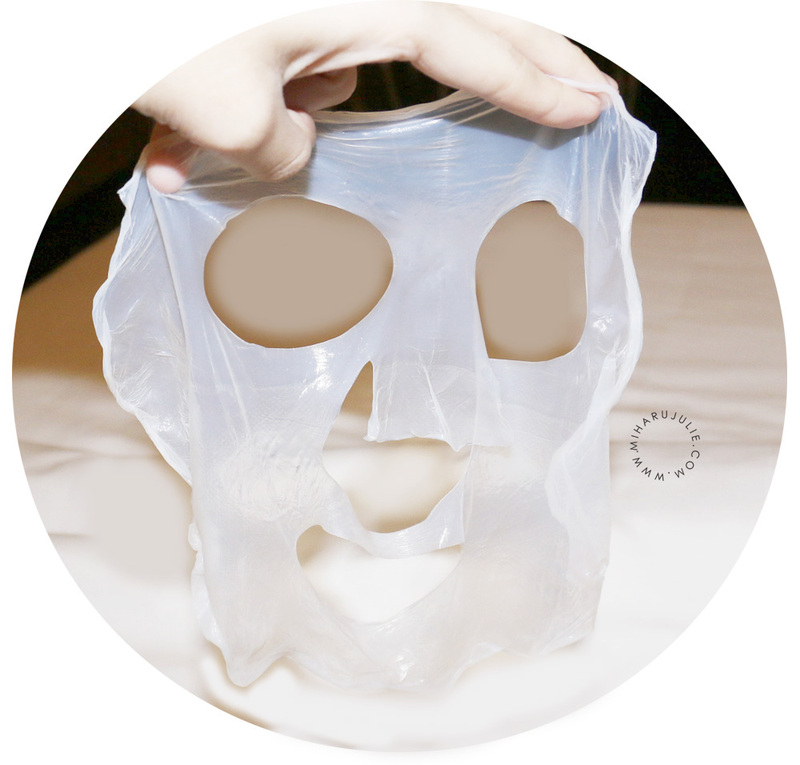 I love the INSbyN Mask sheet because the tight and nice fit of the sheet mask, and I was also happy about the key ingredients of the mask, especially that it contained Coconut Extract. I've never tried something that contains coconut before. The INSbyN Brightening System Mask BX carries a high essence content and As the sheet has a similar structure of skin protein, there is less irritation to the skin. The sheet is wearable for a long time with excellent absorpton ability and moisture capacity. INSbyN recommend this mask if you face dull or 'dark' skin and rough skin from unpredictable weather. Such a complete review dear! 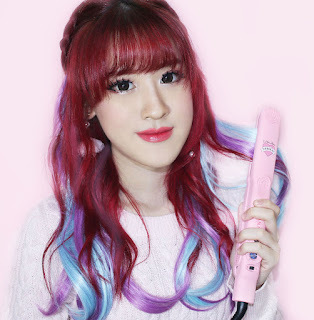 Loved the product!